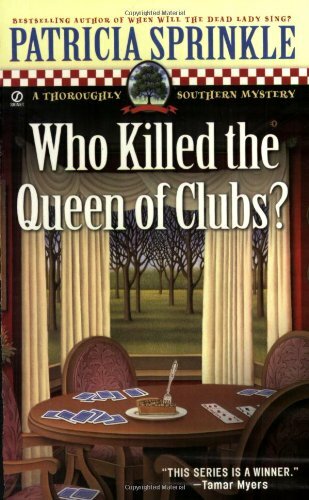 Another great mystery starring county magistrate MacLaren Yarbrough in Hopemore, Georgia. I plan to read all this series. Placed in my Recent Mysteries Virtual Bookbox. Released for week #24(cards on front cover and Queen in title) of Never Judge a Book by its Cover release challenge. Aug.9/07: Mailed to mssaver who chose it out of the box. Enjoy! Thanks, loveamystery! I look forward to reading this one! Interesting, although it's sometimes a little confusing and sometimes really obvious. Anyhow, it does capture Southern culture nicely, and I enjoyed reading it.